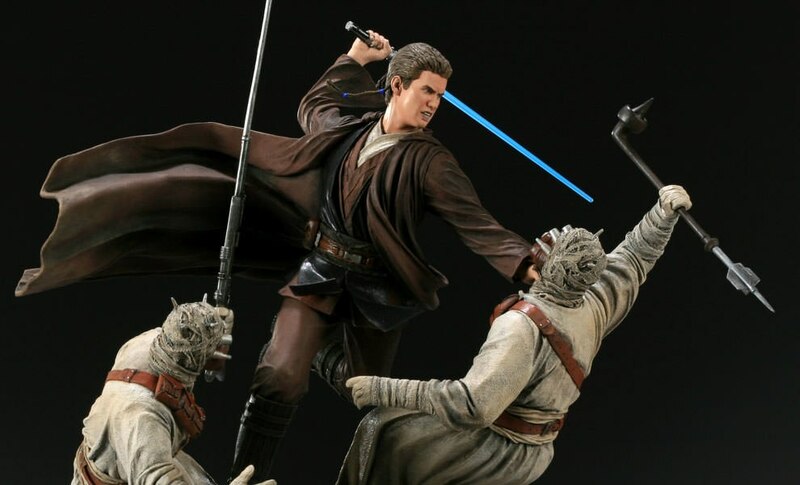 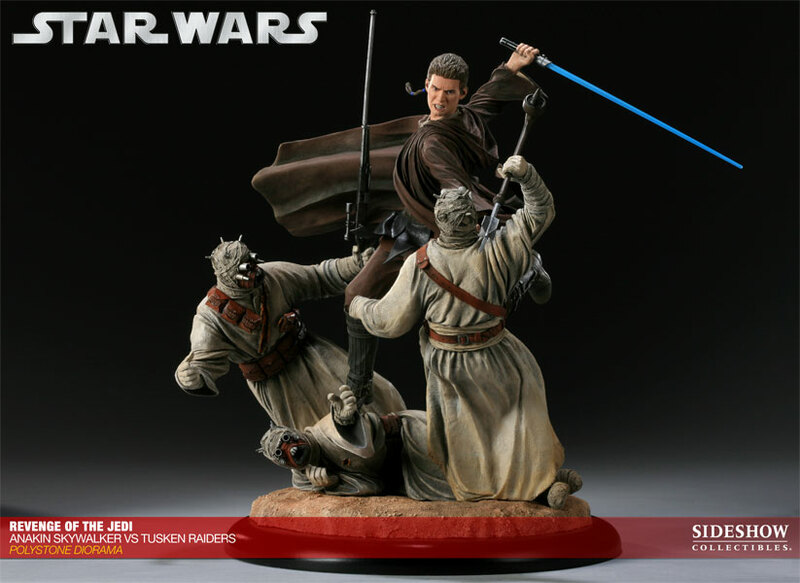 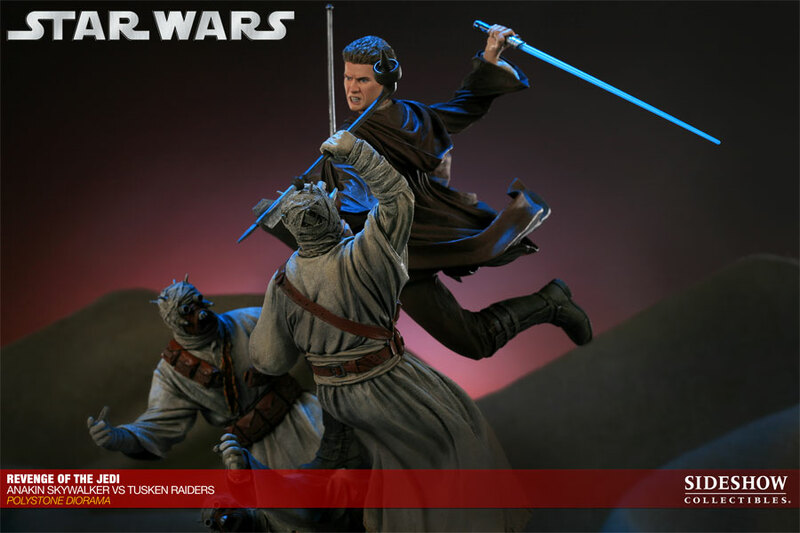 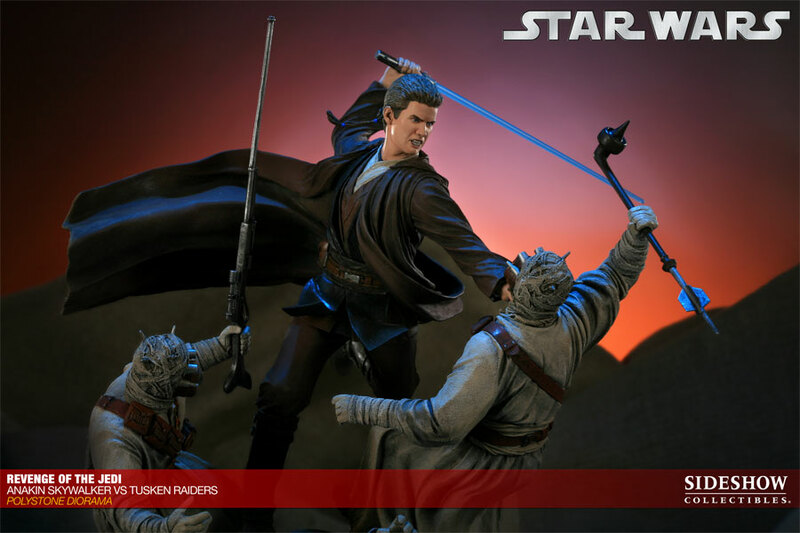 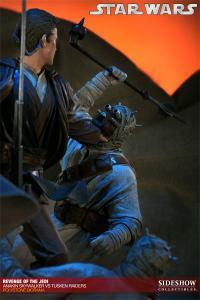 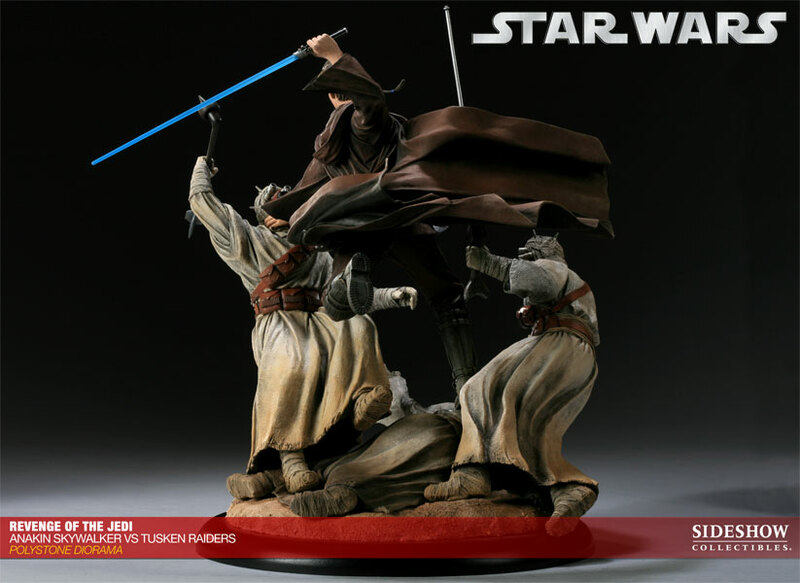 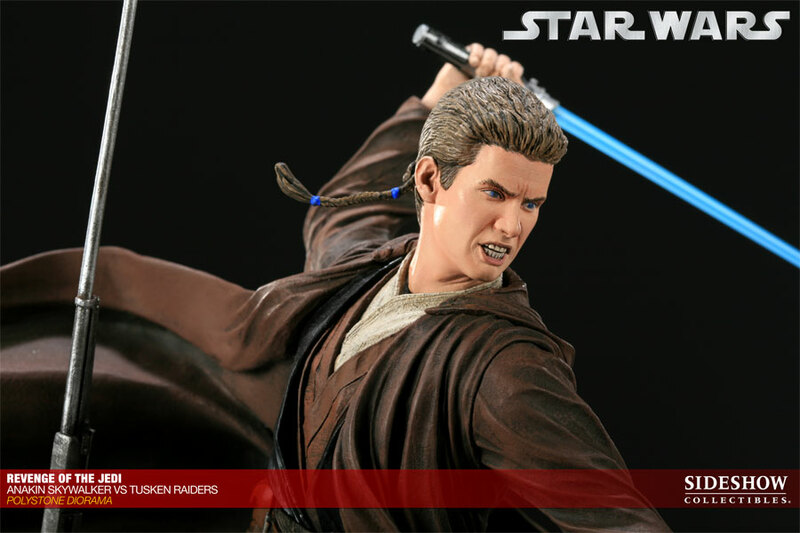 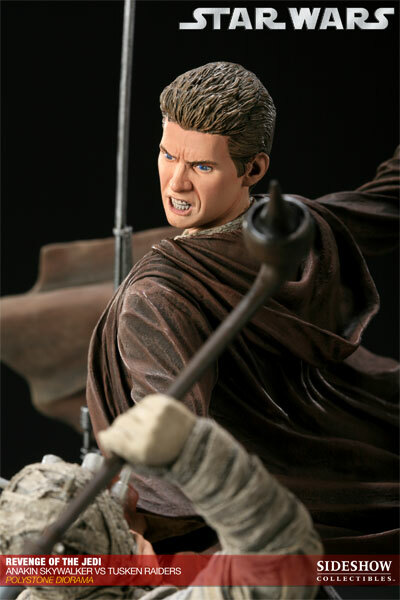 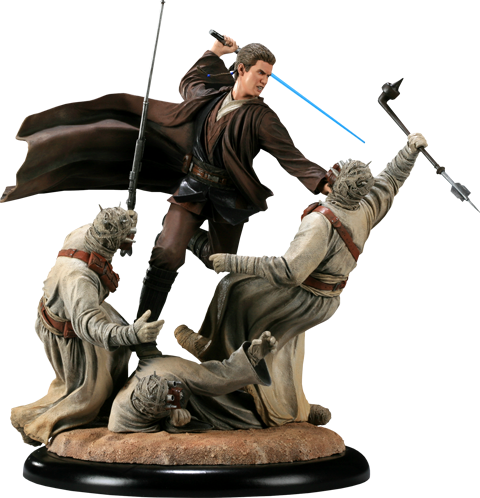 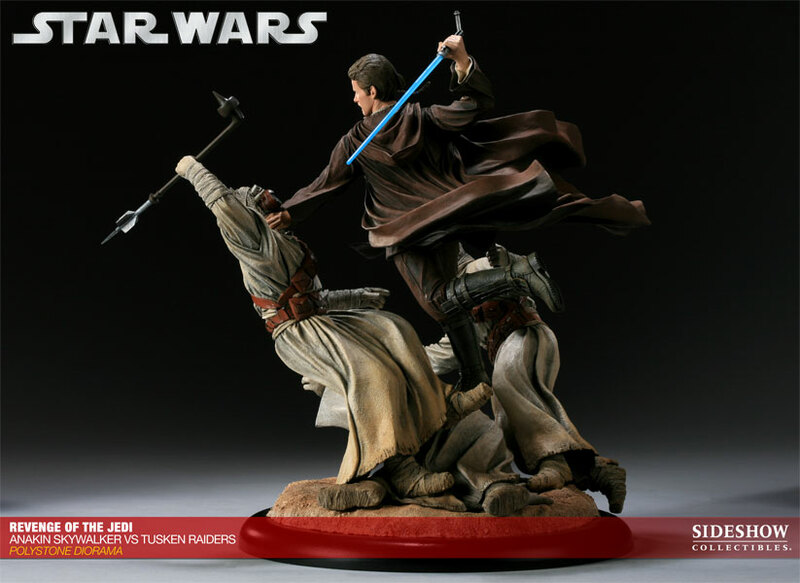 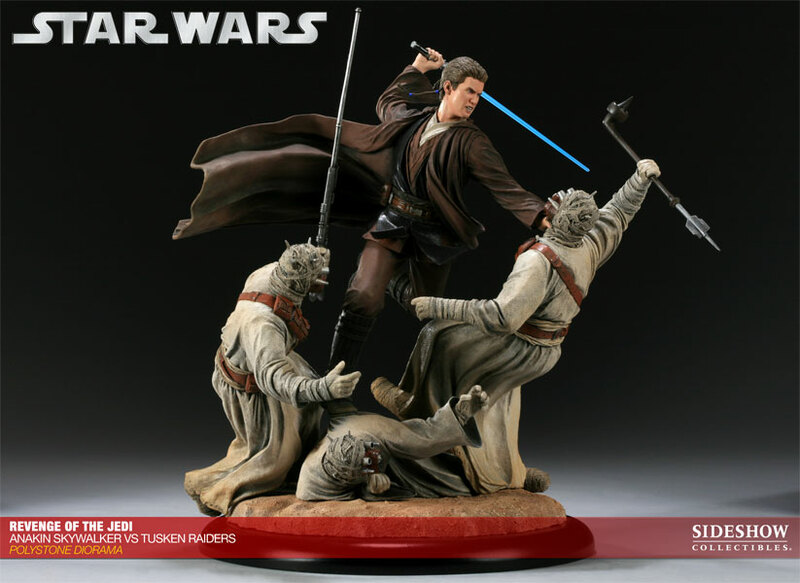 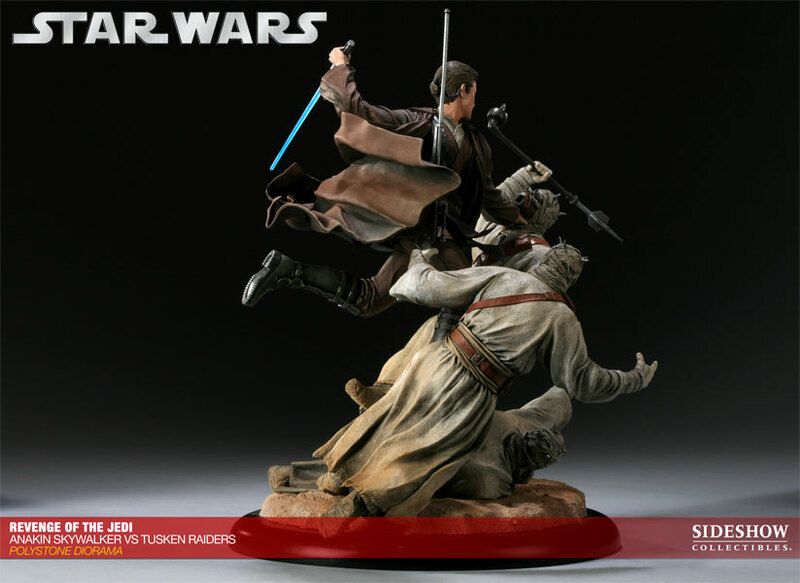 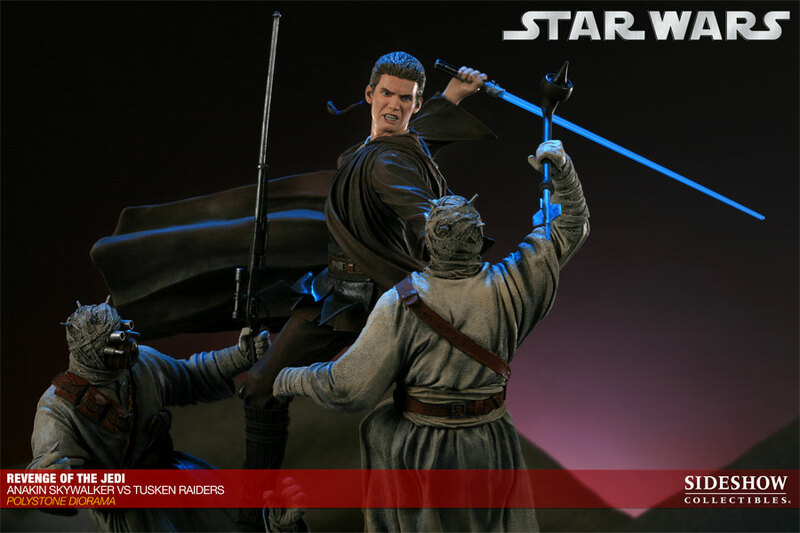 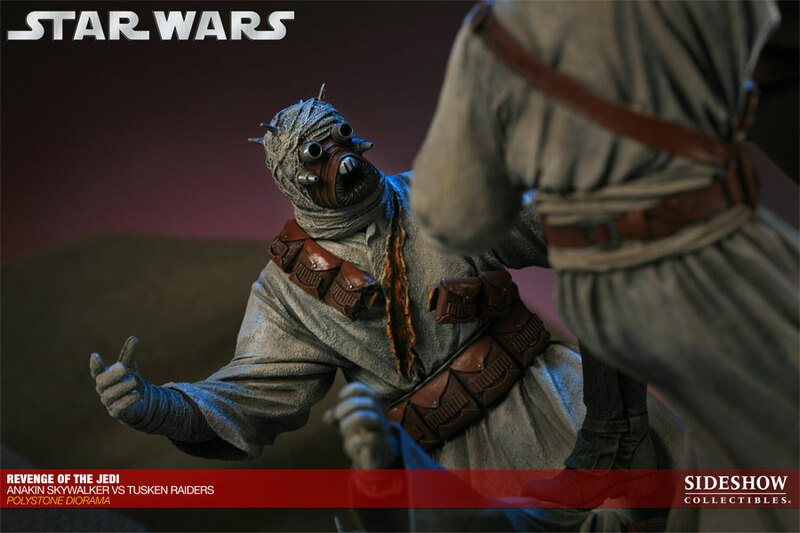 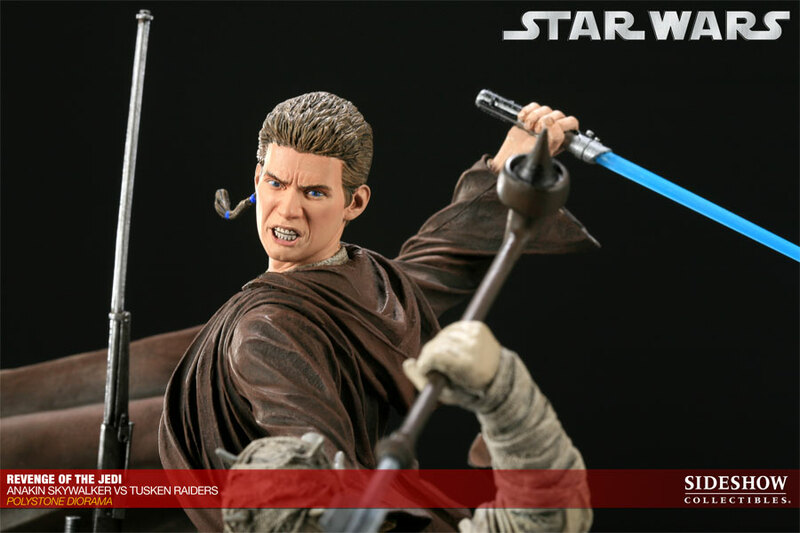 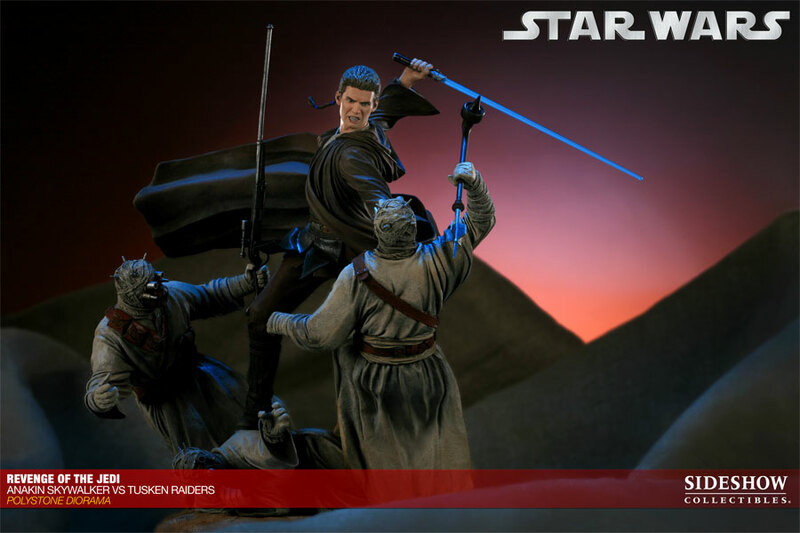 Sideshow Collectibles is proud to present the Revenge of the Jedi - Anakin Skywalker VS Tusken Raiders Diorama, depicting the pivotal turning point of the young Jedi Padawan. 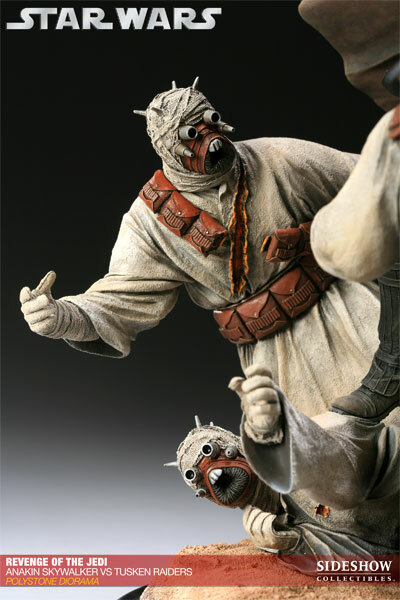 Each diorama is individually painted and finished, each with its own unique quality and detail that is the trademark of a handcrafted Sideshow Collectibles Diorama. 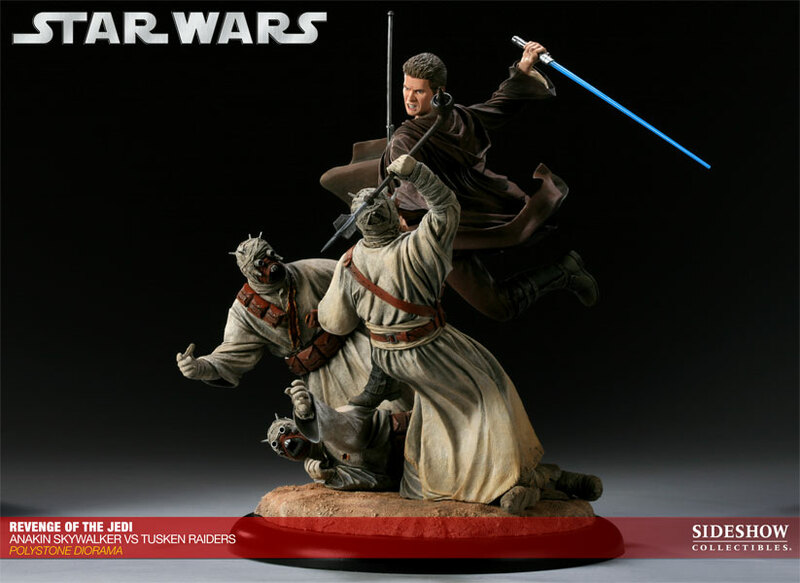 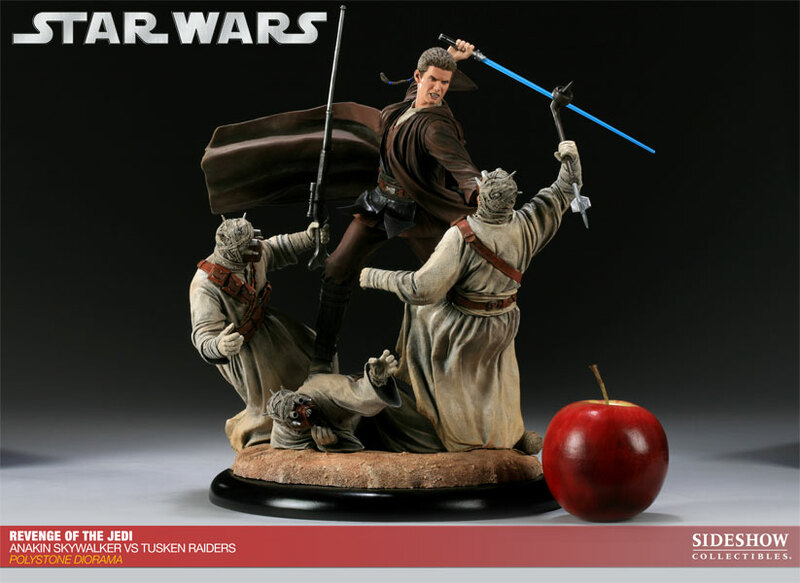 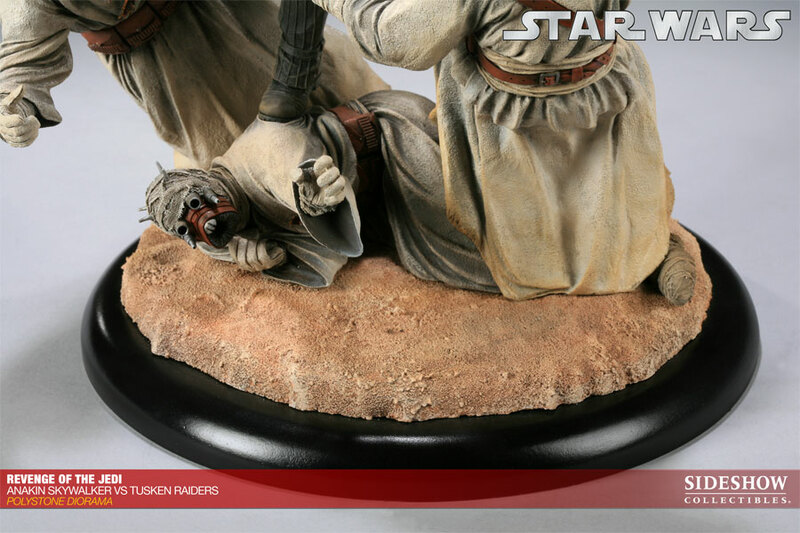 Presenting a singularly important moment in the Star Wars Universe, this stunning piece will make an outstanding addition to any Star Wars display! 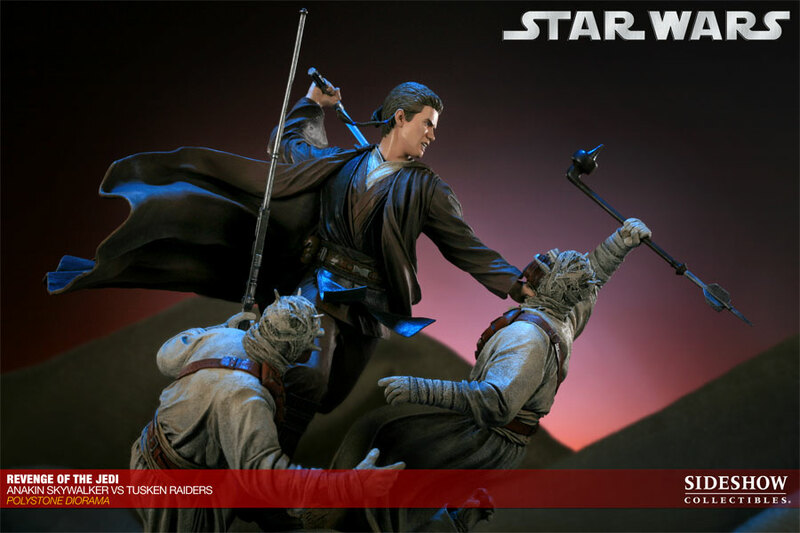 (c) 2010 Lucasfilm Ltd. & TM. 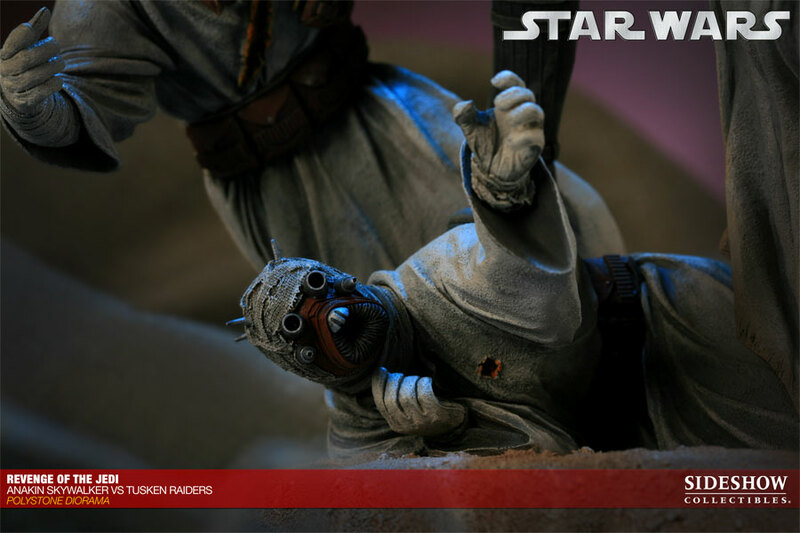 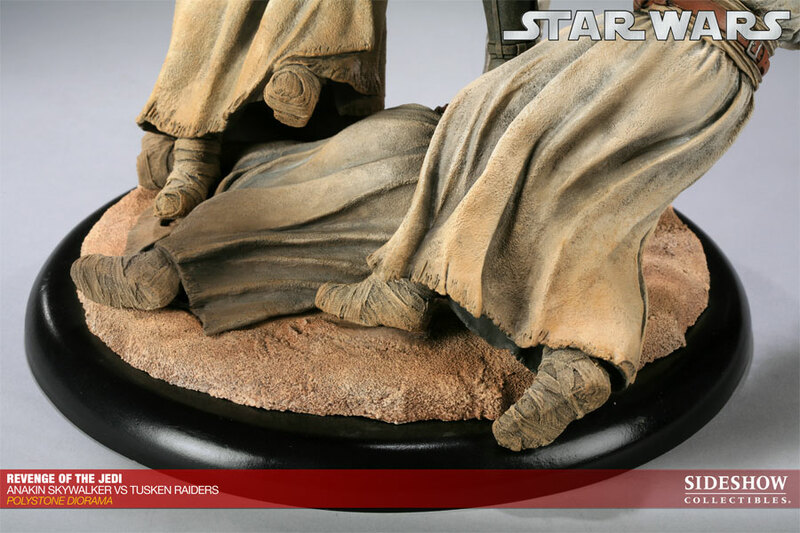 Severed Tusken Raider Head base accessory for customizable display.